Twenty years have passed since the last revision of this best-selling resource for pastors. This third revised edition features everything ministers love about the classic, with some valuable updates for twenty-first-century ministry. • Restores the beloved Episcopal funeral service—back by popular demand! • Honors the familiar and indispensable wedding and funeral service materials. • Offers a rich selection of Scriptures from the beautiful King James Version for diverse occasions of pastoral care. • New additions feature a cremation service and a service for the interment of ashes. • Includes a new preface from Rev. Dr. Aidsand Wright-Riggins III, former Executive Director of the American Baptist Home Mission Societies and former CEO of Judson Press. Dr. Edward Thurston Hiscox (1814-1901) was a distinguished Baptist theologian and author who's Standard Manual for Baptist Churches (published 1890) and New Directory for Baptist Churches (1894) were considered two of the foundational works of the modern Baptist church. 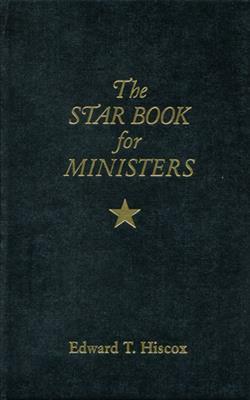 In 1964, these books were combined into the Hiscox Guide for Baptist Churches which is still available from Judson Press.